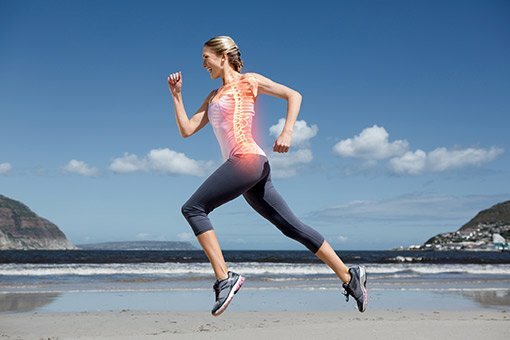 Back pain - DOCJOINTS//DR SUJIT JOS//Total joint replacements with the best quality care at affordable price options at kochi, Ernakulam, Kerala, India / Knee, hip, shoulder, ankle, elbow replacement, Sports Medicine – Keyhole / Arthroscopy for Sports Injuries / cartilage preservation and cartilage regeneration techniques / minimally invasive subvastus / rotator cuff repair, biceps tenodesis, subscapularis repair, shoulder dislocation, bankart, Latarjet / Dr Sujith Jose is a renowned Orthopedic surgeon with vast experience in Joint replacement and satisfied patients from all around the world. 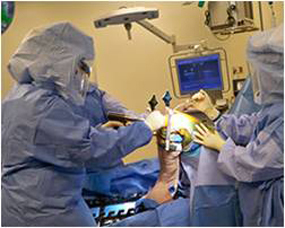 Economical / budget knee done as special package price/ cartilage restoration, OATS, Ankle arthroscopy/ acl pcl mpfl meniscus repair/ wrist arthroscopy tennis elbow/ modular imported high quality operation theatre – Johnson & Johnson theatre with double lamina flow – The best care for your joint problems! Back pain is one of the most common reasons why people consult doctors or miss their work. It is the leading cause for disability worldwide. Eighty percent of adults will experience significant low back pain sometime during their lifetime. 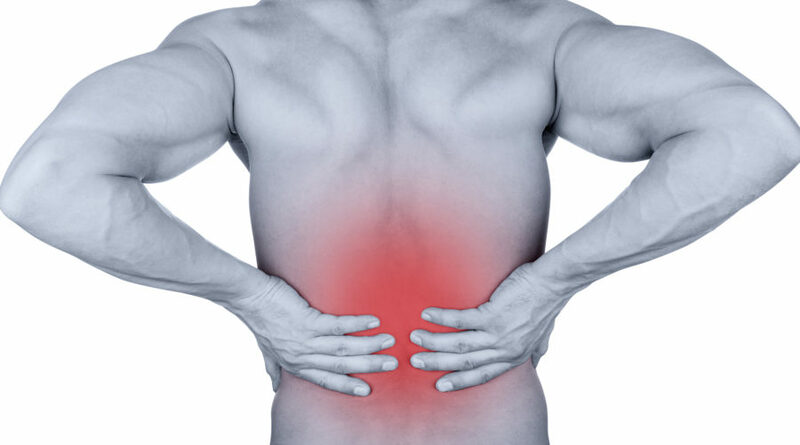 Low back pain usually involves muscle spasm of the supportive muscles along the spine. Also, pain, numbness and tingling in the buttocks or lower extremity can be related to the back. BACK PAIN IS A SYMPTOM NOT A DIAGNOSIS! You have to look for reasons for the back pain. Most commonly it is due to mechanical causes like bad posture, improper sitting and working habits. Practise of good habits will go a long way in preventing back pain. If prevention fails, simple home treatment and proper body mechanics often will heal your back within a few weeks and keep it functional for the long haul. 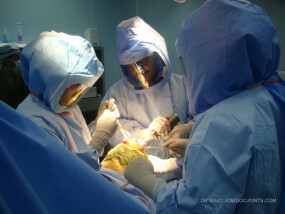 Surgery is rarely needed to treat back pain. Surgery is indicated only when all other modalities have failed to give adequate relief of the symptoms or when there are some red signals, mainly pertaining to the neurological system. Ligament sprain. 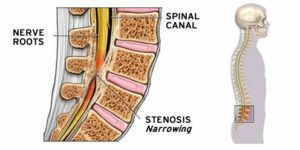 Ligaments connect the spinal vertebrae and provide stability for the low back. They can be injured with a sudden, forceful movement or prolonged stress. 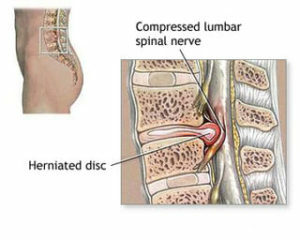 ALL BACK PAINS ARE NOT DUE TO DISC PROBLEMS!! Poor posture. 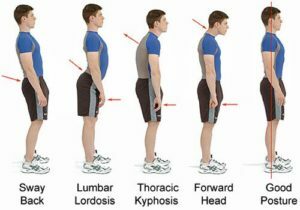 Poor postural alignment (such as slouching in front of the TV or sitting hunched over a desk) creates muscular fatigue, joint compression, and stresses the discs that cushion your vertebrae. Years of abuse can cause muscular imbalances such as tightness and weakness, which also cause pain. Age. 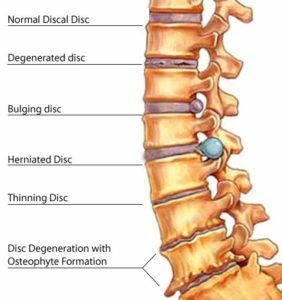 “Wear and tear” and inherited factors may cause degenerative changes in the discs (called degenerative disc disease), and joint degeneration of the facet joints of the spine (called degenerative joint disease). Normal aging causes decreased bone density, strength and elasticity of muscles and ligaments. These effects can be minimized by regular exercise, proper lifting and moving techniques, proper nutrition and body composition, and avoidance of smoking. Disc bulge. or herniation, can cause pressure on a nerve, which can radiate pain down the leg. This generally responds well to a strengthening and stretching program and rarely requires surgery. 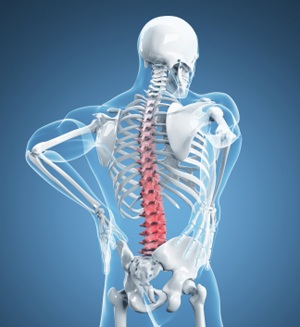 Osteoporosis or weakening of bones is a common cause of back pain as the age increases. Osteoporosis commonly affects females after menopausal age. 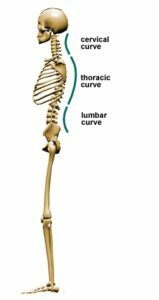 Weak bones predispose to progressive inability of the vertebral column to take the load of the body. 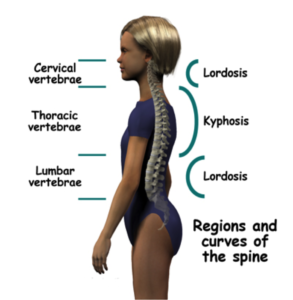 This can cause multiple small fractures in the spine causing kyphosis or a Dowager’s hump. Read more about osteoporosis. 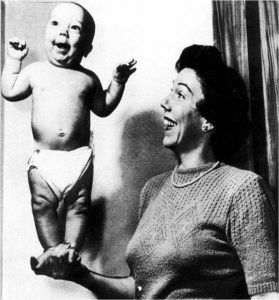 Standing erect is important for physical and mental well-being. Inability to stand straight or move has serious repercussions on the body and mind. As part of human evolution the posture of man has changed over the ages. In the present day the work culture and gadgets are creating stress to the neck and lower back resulting in pains and consequent degeneration of the inter-vertebral discs and vertebral bones at the facet joints. What could be the reason for a sudden onset back pain or neck pain which started after bending forwards to lift a weight or another strenuous activity? 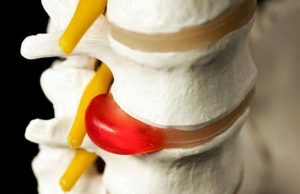 The most common reason for such a sudden onset pain is a muscular spasm in the para-spinal muscles (muscles which are seen around the vertebral column). This is the same reason for neck pains also. Apply ice and give rest to the part for the first 48 hours. Ice can be applied as a gel-pack or a few ice cubes wrapped in a plastic bag and covered with a piece of soft clot (to absorb the moisture) over the painful part. If the pain settles down in a couple of days you can start light exercises and normal activities. 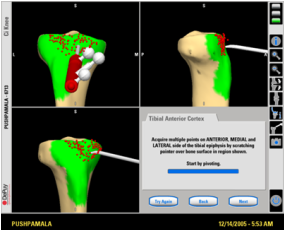 You should be aware of some red signals which, if present, warrants an orthopedic consultation. Look for shooting pain to the leg or arm, tingling sensation in the limbs especially if there is weakness of any movement. Muscular spasms and minor ligamentous injuries around the vertebral column settle down with some rest and conservative management. It is important to understand that the underlying reason for a back or neck pain which arises without a significant insult to the back is a weakness in the paraspinal muscles (the muscles with support the vertebral column). So, after the severe pain is gone it is important to strengthen the paraspinal muscles with regular graduated exercises. Good posture in daily life is important to prevent common back and neck problems. Ergonomics is the process of designing or arranging workplaces, products and systems so that they fit the people who use them. What is a disc prolapse ? 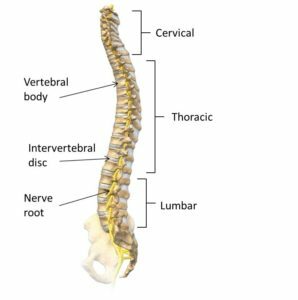 The spine is made up of many bones. 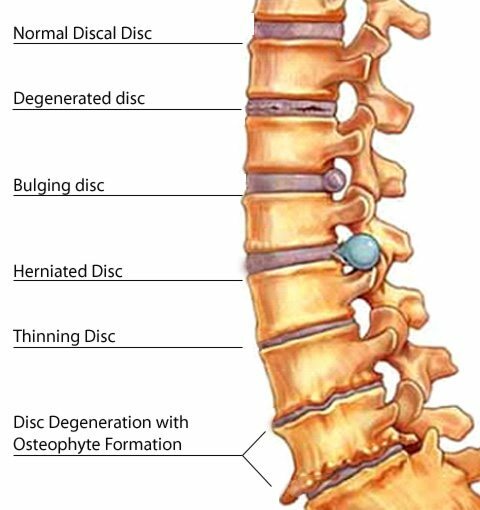 The are roughly circular and between each bone is a soft disc which is rubber like and allows the spine to be flexible. 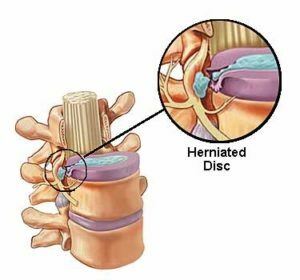 A disc has a stronger fibrous outer part called Annulus fibrosus, and a softer jelly-like inner part called the nucleus pulposus. When you have a ‘slipped’ (prolapsed) disc, a disc does not actually slip. 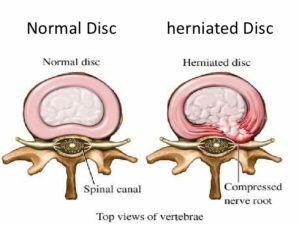 What happens is that part of the inner softer part of the disc (the nucleus pulposus) bulges out (herniates) through a weakness in the outer part of the disc. 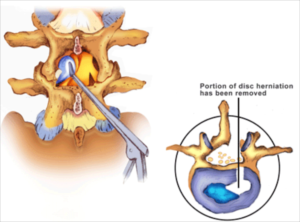 A prolapsed disc is sometimes called a herniated disc. 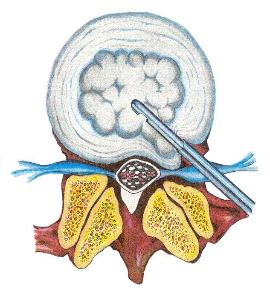 The bulging disc may press on nearby structures such as a nerve coming from the spinal cord. 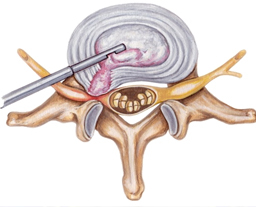 Some inflammation also develops around the prolapsed part of the disc. What are the symptoms of a disc prolapse? 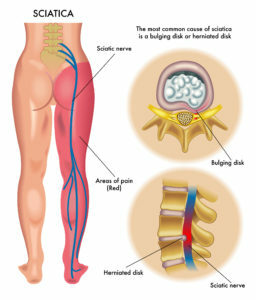 Sciatica refers to the pain which radiated along the path of the sciatic nerve, which is a long nerve extending from the lower back to the back of the legs. It can present as a pain on the back of the hip region, a burning or tingling going down the leg or a shooting pain that makes it difficult to stand up. It can present as weakness, numbness or difficulty to move the leg or foot. Bladder or bowel dysfunction. People who have cauda equina syndrome may become incontinent or have difficulty urinating even with a full bladder.